We are pretty good in higher education at listening to students and collecting their viewpoints. Students as partners goes beyond the student voice and involves students as co-creators, co-researchers, co-teachers, co-producers and co-designers in learning and teaching. Students as partners is an important aspect of student engagement, but not all engagement initiatives involve students as partners. The two day workshops at the Institute will illustrate how you may integrate these different topics into your context. In this model our focus is on learning and teaching and largely what goes on within the curriculum. We exclude students as representatives in the governance of the university. We see this as a complementary but distinctive aspect of the partnership debate. 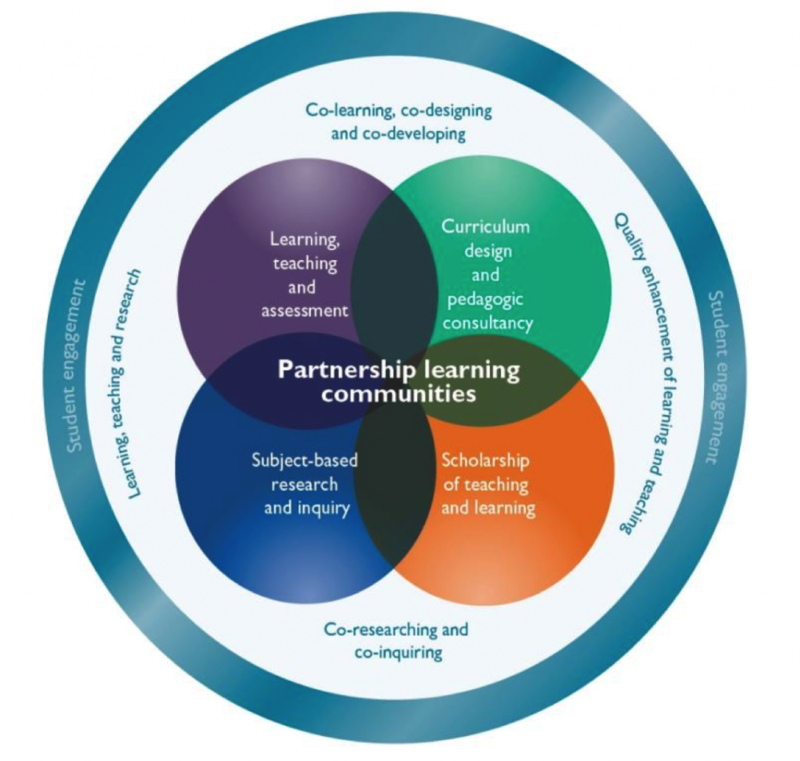 Source: Healey, M., Flint, A. and Harrington, K. (2014) Engagement through partnership: students as partners in learning and teaching in higher education. York: Higher Education Academy p.25. © The Higher Education Academy. All rights reserved.